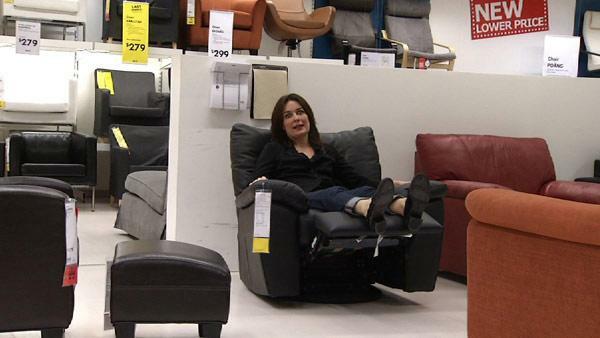 Lisa Quinn gets rid of Tracy's old big couches and searches for something modern and comfortable. 1) A chair and ottoman can create comfort without taking up too much space. 2) If you want instant coordination choose a chair and sofa suite. 3) Slip covers and corduroy sofas are good for people with pets.